Forrest is responsible for the overall growth and strategy of eMeals as the leading foodtech platform integrating meal inspiration with online grocery shopping. 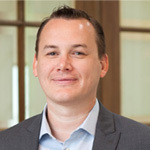 A seasoned entrepreneur, Forrest was previously CEO of InternetSafety.com, which sold to McAfee, and was a Co-Founder and COO of Highland Capital Holding Corporation. Forrest attended Auburn University and received his MBA from Vanderbilt. With deep family roots in Louisiana, Forrest enjoys food with lots of flavor, spice and variety. Favorites include medium-well steaks, chips and salsa, new-fangled Asian and old-fashioned vegetables. He and his wife Jean Anne have three children – all of whom probably qualify as foodies. As both the brains and the heart behind eMeals, Jane founded the company to simplify dinner for her family and yours. Having solved the daily dinner dilemma for hundreds of thousands of busy people, Jane is a widely recognized expert on how to eat well while saving money. 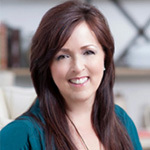 She now focuses her time on developing new products, features and markets for eMeals. Growing up in a large Southern family that valued spending time together, Jane and her own family of six gather for healthy but hearty meals with items such as grilled fish, roasted vegetables, whole grain pastas and fresh fruits. 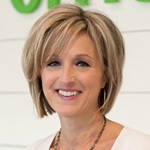 Having co-founded eMeals with her sister, Jenny helped define the eMeals culture and was instrumental in the original design and publishing of the meal plans. An avid cook, Jenny gravitates to Southern comfort food, pickles and peppers of any kind, healthy dishes with strong flavors and most ethnic foods. Jenny’s motivation for eMeals came from a love of food and more importantly a love for her family of five whose favorite meals include Chicken Divan, beef enchiladas, breakfast foods and a low country boil on special occasions. Aaron is basically the creative genius giving direction to the technical side of eMeals. Previously Aaron was the Co-Founder and CTO of InternetSafety.com where he developed the family protection software that was rated #1 by Consumer Reports, PC Magazine and by parents in over 150 countries. Following the sale of InternetSafety.com, Aaron shepherded the product within McAfee as a Director of Engineering. Equal parts right and left-brain, Aaron likes to champion game-changing ideas that solve real life problems. When Aaron cranks up the Big Green Egg his BBQ Ribs are always a hit. Most recently he’s turned his attention to the pursuit of turning the simplest of ingredients into the perfect Neapolitan pizza. 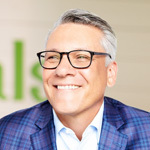 A nationally recognized food and wine expert, Scott is responsible for the overall eMeals content strategy, and gives leadership to the incredible team of food experts that create our 15 food style meal plans ranging from clean eating to budget friendly. 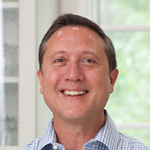 Scott is the former Executive Editor of Southern Living, where he oversaw all food and entertaining content for the magazine. In addition to sipping Cuban wine in Stockholm and dining with Dolly Parton, Scott has, on more than one occasion, chosen the road less traveled. His wife and two daughters are not impressed, but nonetheless are quick to praise his Carolina-style barbecue pork. In his spare time, Scott can be found running through the streets of Birmingham in preparation for his next marathon. 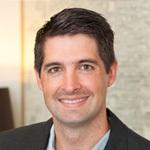 Doug oversees the growth marketing strategy of eMeals ranging from customer acquisition and retention to partner development. With a background in both B2C and B2B companies, he relishes the opportunity of analyzing and optimizing marketing performance and finding new channels of growth. Being married to a doctor, having young children, and being an avid triathlete, Doug is obsessed with creating healthy, homemade meals for his growing family. John is serving as an advisor to eMeals as the Company expands its presence within the online grocery and food and beverage industries. John has 30 years of CPG and food and beverage experience, with tenures at both Procter & Gamble and The Coca-Cola Company. 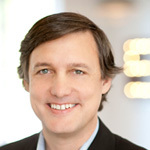 He has held a series of senior leadership positions in brand, sales and operations including most recently as VP and General Manager of eCommerce for Coca-Cola North America. John enjoys an active lifestyle, a good round of golf and typically eats a Keto-friendly meal.